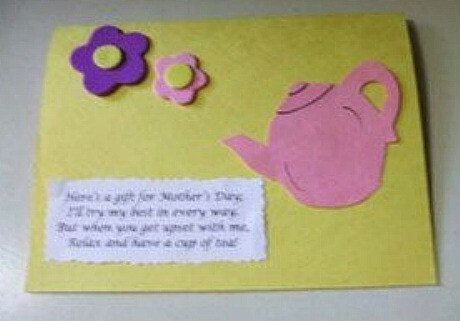 This card and tea bag will bring a smile to any mother's face. "Here's a gift for Mother's Day, I'll try my best in every way. But when you get upset with me, relax and have a cup of tea." Write a personal message inside the card and tape a tea bag inside.